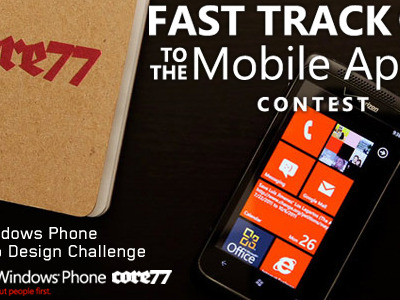 Fast Track to the Mobile App winners had the 'best case scenario' track: get their apps developed, tested and in the Marketplace by early February in time for promotion before (and hopefully during the) Mobile World Congress in Barcelona. However, sometimes life throws wrenches in the best-laid plans. In this installment, we continue reporting on the next steps of the app development process, implementation and testing, and check-in on our winners—both those who are developing apps themselves and those working with Microsoft developers. To be on track for Barcelona, a contestant's next step is implementing the app's core functionality. For each app, that will differ. Geof Harries and Michael Johnson's cash flow management app, Cash Hound, requires financial functionality so they programmed the ability to add, edit and delete income and expenses in order to run calculations to determine spendable income. They then created charting tools to visualize that knowledge. With that functionality in place, they tested the app to see what worked, and in light of that, what needed improvement. The testing phase can only take place on a workable prototype (discussed in our last article). Implementing the aspects that make the app functional mean dealing with the real-life problems that may arise. The time for theoretical conjecture is over: at this stage, developers are considering specifically the "hows" and "whats" to best bring the app's concept to life. Pratik Kothari's Social Mints tracks what's being said about a chosen topic of interest (e.g. your company, a celebrity, a sports team, etc.) by fetching data from social media sites. Kothari focused on the core functionality of the app's responsiveness by improving the sluggishness he initially encountered. He reworked the architecture so a filtered set of results would now fetch from a cloud component, making the initial download of information smaller and faster. Cacheing mechanisms were applied so when multiple users searched for the same topic (aka 'Mint'), quick response times would be maintained. Testing makes any necessary modifications to the interface more obvious based on the app's actual use. Visual elements that don't fully serve core functionality will be adjusted so they do. Then, more testing, testing, and still more testing. This may mean removing or adding data to test how the app behaves in every imaginable circumstance, and finding and fixing bugs. It's in this phase that an app developer sees the last holes in the app's construction and patches them up.Cash Hound and Social Mints are nearly ready to go. Recall that these particular winners happen to know the ropes of app development; our readers may be like them, or they might be developing their first app ever, much like BlackBelt, Bridge, and car-pal+. 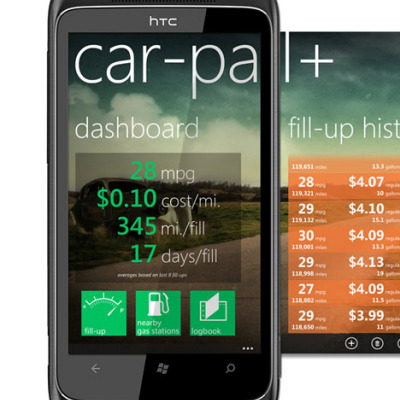 car-pal+, is an app designed by Alan Asher and Chris Bartlett to track fuel efficiency, log car maintenance alerts, find gas stations and monitor road alerts. Asher and Bartlett have been getting the hang of Windows Phone app development on their own with some discussion with Microsoft developers. After reviewing their initial design, they realized they hadn't considered if a user wanted to track information for more than one car; to remedy this, they created a 'Garage' section to manage cars. They've chosen to release their app in phases to stay on track for the February deadline; they're currently testing the 'Find gas station' section to using Bing API integration and the phone's GPS. Mark Salerno knew BlackBelt, his app that links business productivity and awareness to a competitive game, would require some realistic alterations to have it ready for February. Inspired by karate and video games, Salerno had to reduce many ideas he'd attached to the app in order to streamline the central experience of going up levels/rank. A consuming work project deadline and the happy birth of his first son place him in the process of choosing his Microsoft developer now. In another turn of real-world development, Ying Wei Toh and Dennis Park's Bridge, an app that integrates meeting arrangement and enables conference calls (as opposed to entering in access codes, etc), spoke with three Microsoft developers only to learn the central functionality would be technically difficult because the Windows Phone API does not allow outgoing conference calls. 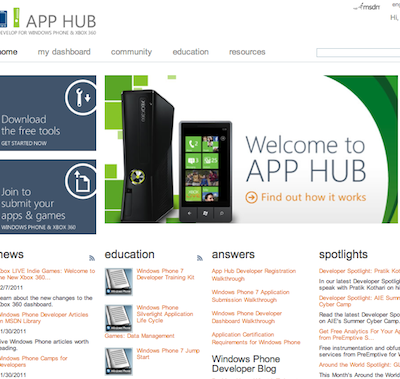 Their Windows Phone Champ in Seoul stated that they would require a server to create a voice conference app. Because operational and development costs would increase on the server side, their developers suggested they find a partner who can help create a conference app with a server and bear a portion of the costs. Stay tuned for the next installment on the app development process, and our winners' own paths. We'll hear more about their final steps, further beta testing and the final polish of app 'Extras' in the next article.